Ningbo customs has posted a 30 per cent increase in imports from Taiwan to 1.86 million tonnes in the 2013 year under the Economic Cooperation Framework Agreement (ECFA) with trade value increasing to almost 33 per cent making US$2.94 billion. It also imported the highest volume and value from Taiwan, the greatest out of all cities in China. 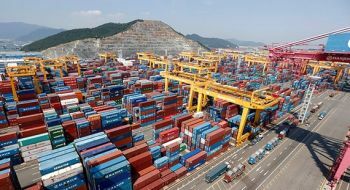 The Economic Cooperation Framework Agreement, dubbed the ‘early harvest program’ cuts tariffs on more than 800 categories of products and opens up service sectors, giving a major boost to two-way trade across the Taiwan Straits. The Chinese mainland and Taiwan have agreed to ‘gradually reduce and remove trade and investment barriers and create a fair environment’ in the two areas. The Early Harvest Program, implemented 3 years ago now went through its third phase of cross-strait trade tariff cuts, which enables a zero-tariff for 539 products ad 267 Taiwan products. Imports from Taiwan are mainly chemical raw materials, machines and textiles, which take up nearly 80 per cent of the value. Things such as electronics and auto parts have also increased in the importing industry. Ningbo customs has streamlined its customs clearance procedures for the ECFA imports. An exclusive counter has been set up specifically to declare shipments and offers priority service to the ECFA imports when being cleared through customs. Shippers of perishables also enjoy advanced declaration facilities and can make appointments for declaration beforehand. It is also encouraged to pay customs charges online, which becomes more convenient at this day in age. Reference: Shipping Gazette Newsletter – Daily shipping news, 24 Jan 2014, Ningbo tops Chinese cities for imports from Taiwan in 2013 under ECFA. Beijing Review, 20 July 2010, What is the ECFA?